Fruit flies or gnats can be one of the most annoying pests in your home. They can come in to your home via the fruits, vegetable and plants you bring home and can be a complete pain to get rid of. The truth is, you can get rid of fruit flies fast with a couple of household ingredients in very little time! I have to be honest, fruit flies have been an enemy of mine for many years. I usually start to notice them in early spring, and seem to fight them until late fall. They love to make themselves at home in my kitchen and bathroom sink drains, can be found buzzing around my indoor herb garden and fruit bowl, and have even taken a swim in my wine a few times…not cool! I’ve tried several different ways to kill fruit flies over the years, and while some of them have worked, none of them have worked quite as well as this method! 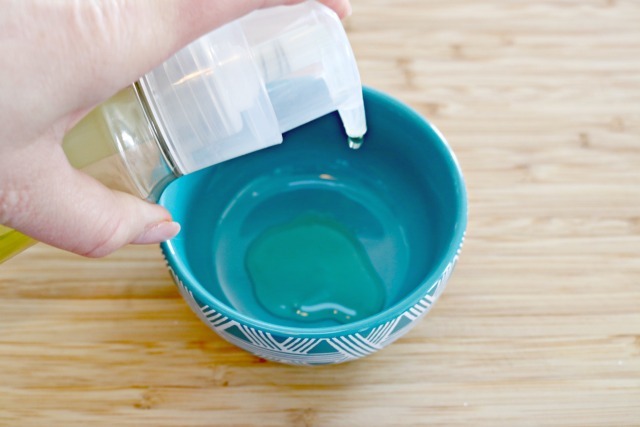 Step 1 – Squirt 2-3 pumps (around 1 1/2 tablespoons) of dish liquid into a small bowl. 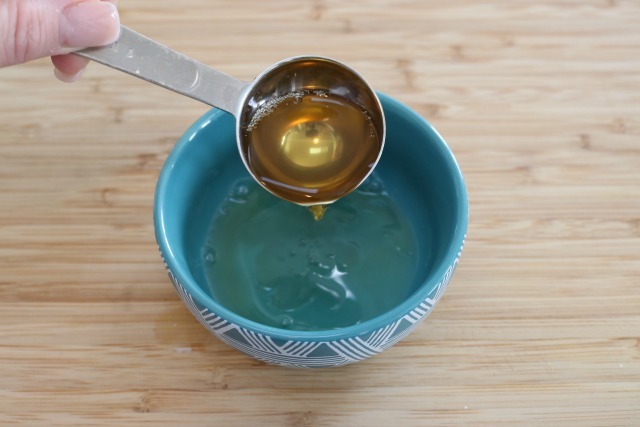 Step 2 – Add two tablespoons of apple cider vinegar. If you don’t have any, you can use red wine vinegar instead. 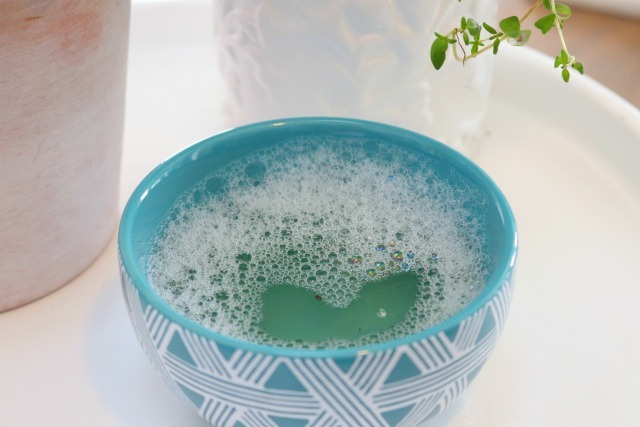 Step 3 – Stir in some water, making sure that they suds up a little bit…the bubbles help to trap the fruit flies or gnats. Within a half an hour, I noticed our first gnat was trapped in the solution…yay! I typically change the solution out every couple of days for about a week, and then don’t see any gnats for a while. When I notice any new gnats around, I just make it again! 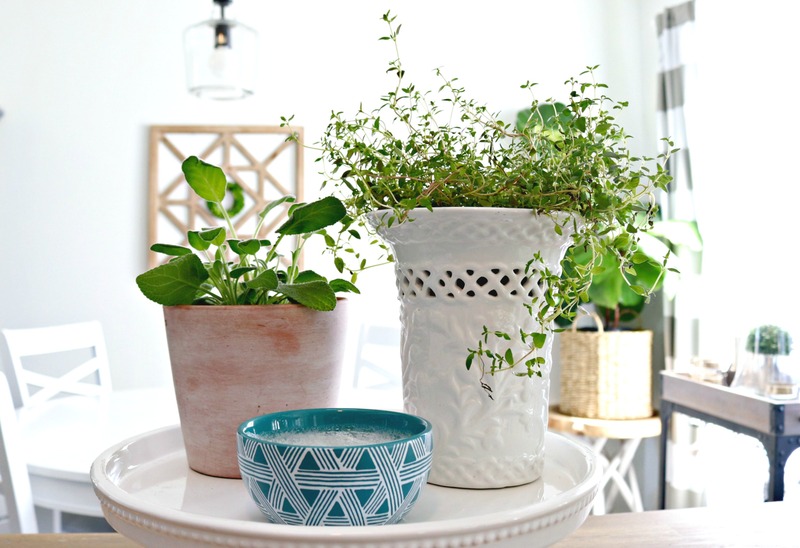 This is such an easy, natural, inexpensive way to keep those pesky gnats out of your home! Looking for more ways to keep pests at bay? Check out the awesome ideas below! Got ants? 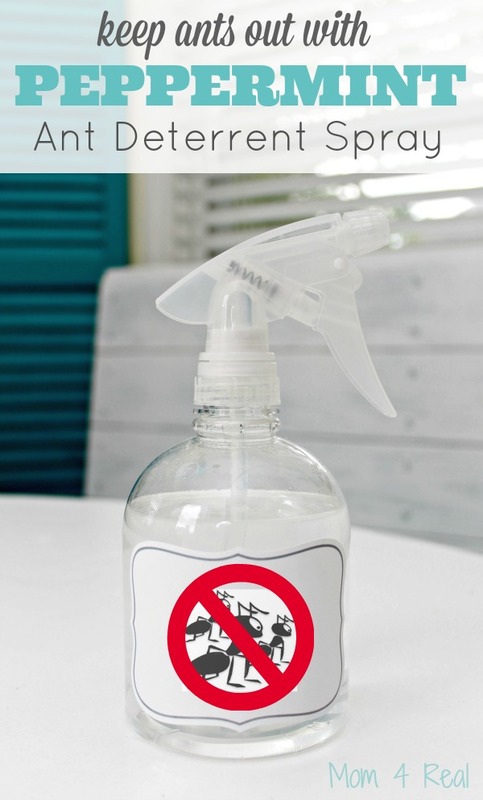 This Homemade Ant Killer is a life saver…it works really quickly and will keep ants at bay! Did you know that you don’t have to buy expensive, toxic solutions to keep ants away? Make my Homemade Peppermint Ant Deterrent Spray and keep ants from coming into your home. Bonus…it keeps spiders away too! Finding ants in your pet’s food is a major bummer, especially since it means you have to toss it! 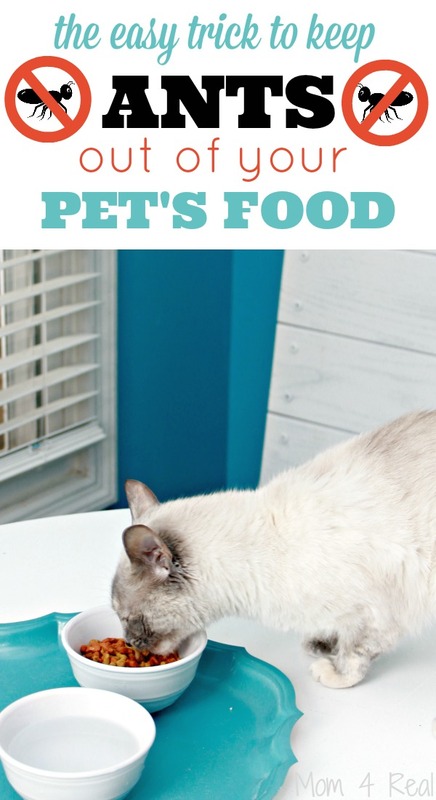 Try this super Easy Trick to Keep Ants Out of Your Pet’s Food, and never waste pet food again! Notice fleas on your beloved pets? 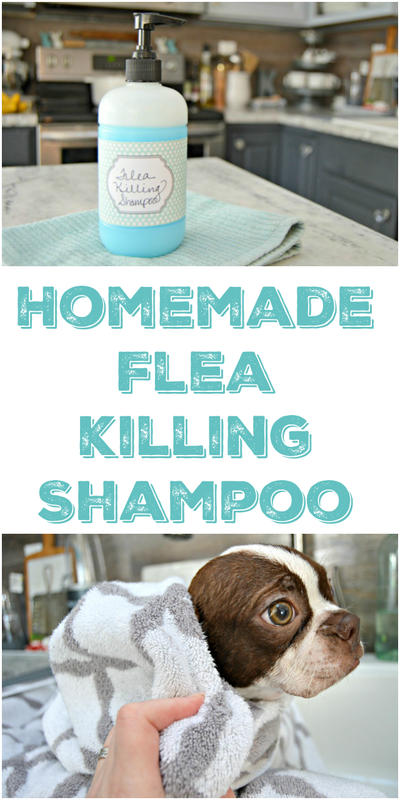 Make this easy Non-Toxic Flea Killing Pet Shampoo with a couple of ingredients that you probably already have in your kitchen and banish fleas in minutes! And…I’ve saved the best and easiest for last! 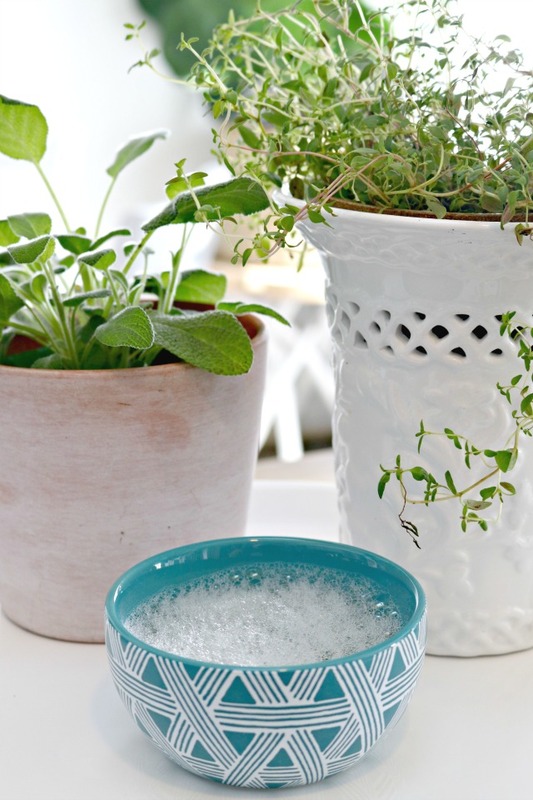 Want to keep bugs out of your drinks? 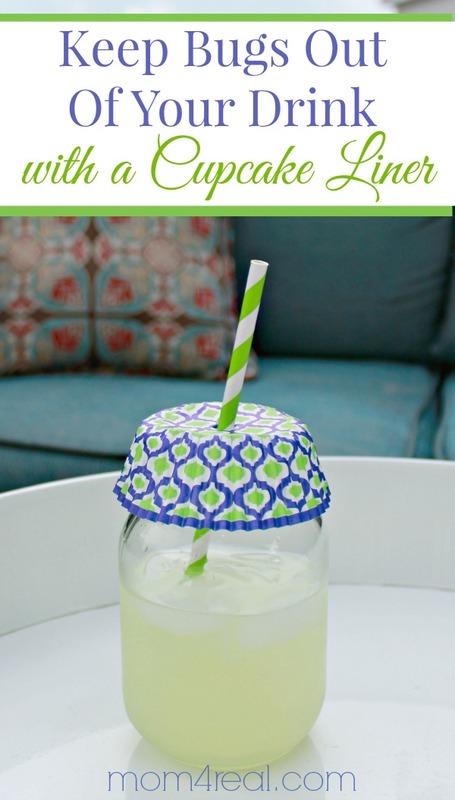 Just pop a cupcake liner on top of your glass or cup and poke a straw through…the bugs don’t stand a chance! I have a whole folder of your recipes. On Pintetest you have your own section. I have done the fanged fruit flies with just apple cider and it works but I have a fly swatted glued in my hand Spring thru Fall. I have done your ant spray,spider spray. The dog flea shampoo, which kills what’s on but sometimes think I am losing the battle. But thank you for all the things you share. need some thing for moths?? have done ever thing I know , but still have them ! I’m researching it now, and will post soon! As Jody said, I also have a a folder of your recipes. I am from Argentina and I share your comments with my friends. Your new recipe for ants is just fantastic!!!! It works!!! Thank You. Thank you so much for the sweet words, Susana! I really appreciate you taking the time to leave me a comment! Your ideas are great. You’re the best. I’m with esther – any solutions for moths? Hi, Bernice! I’ve gotten several questions about moths today…I’m working on some research to find a helpful solution for you! I was going crazy I HATE fruit flies!! this got them all gone they are floating in the bowls!! THANK -YOU!! 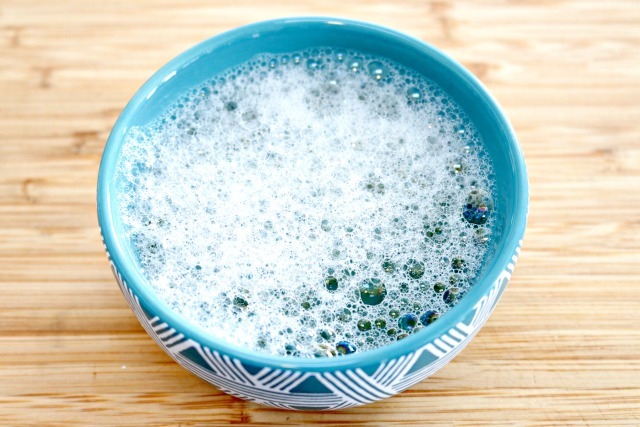 The recipe for the gnats with the dish soap, that is what my mom used for ants as well when I was growing up! I saw later in the article that you have an ant killer and that made me smile and think of my mom as well! It really does work too! I love seeing all these DIY safe things on here! Instead of using harsh pesticides! Thank you for this! I love reading your recipes. Anything I can do to keep pests out without large expenses and keeping my family safe is always my first goal. You really have helped s lot of people so keep up the good work! Thank you so much for the kind words, Lesley! LOVE your hints and tips! Here’s my question…I live in the South…that means wasps and hornets and yellow jackets. My problem is worsened by the fact that my husband is allergic to these critters. Got a good solution? We use a bee trap as I show in this post…it helps a ton! I enjoy using your recipes.I’m asthmatic & am allergic to the outdoors (or so it seems). My oven has always been a burnt on ugly disaster. It took me 5 months, but I now have a nice shiny oven. I live in Pocatello, Idaho, in an 80 year old building, that has recently become infected with bed bugs. How can I keep them out once heat treatment is done on Monday? I don’t want to do this kind of cleaning,red again. Thanks so much for this beautiful post! It’s put together so well! I used the info. Right away with great results! I said some prayers for you in thanks. Hi! I read Your recipe/ plan for fruit flies/gnats Most of the others I have read have said to cover up the solution with Saran Wrap or something and poke holes So this is not necessary? I tried your idea this morning and I’m hoping for the best Thank you !!! It isn’t necessary, because the soap helps to trap them.